Solar energy, once a niche application for a limited market, has become the cheapest and fastest-growing power source on earth. What's more, its potential is nearly limitless. 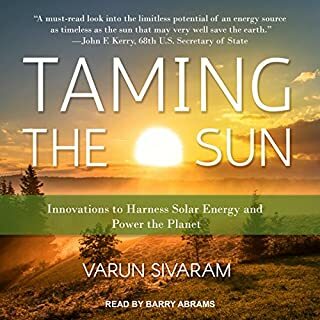 But in Taming the Sun, energy expert Varun Sivaram warns that the world is not yet equipped to harness erratic sunshine to meet most of its energy needs. And if solar's current surge peters out, prospects for replacing fossil fuels and averting catastrophic climate change will dim. A worldwide race is on to perfect the next engine of economic growth, the advanced lithium-ion battery. It will power the electric car, relieve global warming, and catapult the winner into a new era of economic and political mastery. Can the United States win? Steve LeVine was granted unprecedented access to a secret federal laboratory outside Chicago, where a group of geniuses is trying to solve this next monumental task of physics. But these scientists - almost all foreign born - are not alone. With the constant threat of oil shortages facing us and wanting to educate herself about possible alternatives, Gwyneth Cravens skeptically sets out to find for herself the truth about nuclear energy. Her conclusion: It is a totally viable and practical solution to global warming. She enlists the help of Rip Anderson, a leading scientist in the field of risk assessment, and with his tutelage, she travels the country, visiting uranium mines, enrichment centers, reactors, and waste sites. In this bold, fascinating book, Biss investigates the metaphors and myths surrounding our conception of immunity and its implications for the individual and the social body. As she hears more and more fears about vaccines, Biss researches what they mean for her own child, her immediate community, America, and the world, both historically and in the present moment. In How Asia Works, Joe Studwell distills extensive research into the economics of nine countries - Japan, South Korea, Taiwan, Indonesia, Malaysia, Thailand, the Philippines, Vietnam, and China - into an accessible narrative that debunks Western misconceptions, shows what really happened in Asia and why, and for once makes clear why some countries have boomed while others have languished. The grid is an accident of history and of culture, in no way intrinsic to how we produce, deliver and consume electrical power. Yet this is the system the United States ended up with, a jerry-built structure now so rickety and near collapse that a strong wind or a hot day can bring it to a grinding halt. The grid is now under threat from a new source: renewable and variable energy, which puts stress on its logics as much as its components. In an entertaining, perceptive and deeply researched fashion, cultural anthropologist Gretchen Bakke uses the history of an increasingly outdated infrastructure to show how the United States has gone from seemingly infinite technological prowess to a land of structural instability. She brings humor and a bright eye to contemporary solutions and to the often surprising ways in which these succeed or fail. And the consequences of failure are significant. Our national electrical grid grew during an era when monopoly, centralisation and standardisation meant strength. Yet as we've increasingly become a nation that caters to local needs, and as a plethora of new renewable energy sources comes online, our massive system is dangerously out of step. 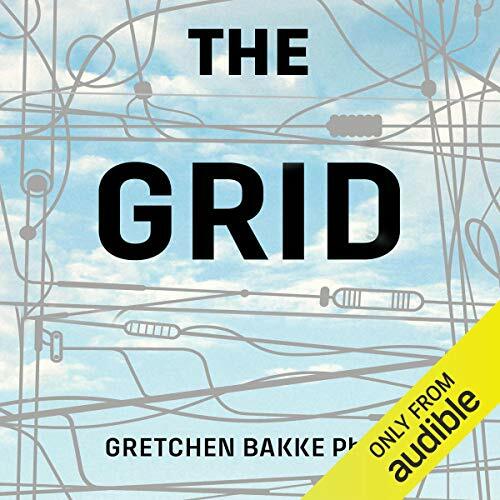 Charting the history of our electrical grid, Bakke helps us see what we all take for granted, shows it as central to our culture and identity as a people and reveals it to be the linchpin in our aspirations for a clean-energy future. I thought "The Grid" needed more scientific and infrastructural background, and perhaps less personal opinion on the motivations of power companies. 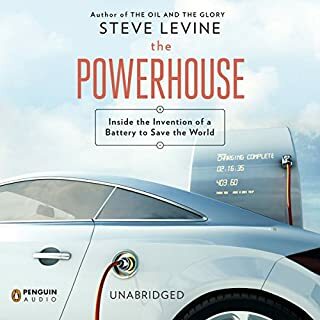 From reading the description, my hope had been to learn more about how the Grid came to be, how power distribution works (albeit at a high level), what kinds of challenges face us today, and innovative ideas for how we address them tomorrow. Unfortunately, very little time was spent on how it came to be, and even less on how it really works. Challenges were outlined but not detailed. Tomorrow's technologies were mentioned but not adequately explored. While I didn't expect the book to go TOO deep into these topics, I was definitely hoping for more. One distraction throughout the book was the continual assertions of nefarious (her word) motivations on the part of electric companies. I have no doubt that some have questionable motives, just as some hospitals have questionable motives. But to put all of them into the same profit-grabbing bucket without supporting evidence does them an injustice and reinforces the "us vs. them" mentality she says is so prevalent today. I'm not saying there aren't bad actors out there, or even that most are good. But evidence backing her assertions would have helped. She did point out evidence against Enron, but even she admits they weren't an energy producer. It would have been good to see more evidence for claiming profiteering was a principal motivator for today's power companies. As I mentioned, the motivations were a distraction, but if you can listen past them, then I think there's still interesting information regarding how the various entities are set up, how regulations come about, etc. None of it is particularly deep, but it can make for good background listening. And I thought the reader did a fine job with the material. After I heard Gretchen Bakke interviewed on Fresh Air, I could not wait to read this book, so I downloaded it the day it was released. The book did not meet my expectations. It was about as non-technical as such a book could get. There were minimal explanations of important concepts such as cutting edge storage technologies, including battery storage. Most of the discussion revolved around soft topics repeated over and over again, such as that people want wireless devices and hope for wireless charging. 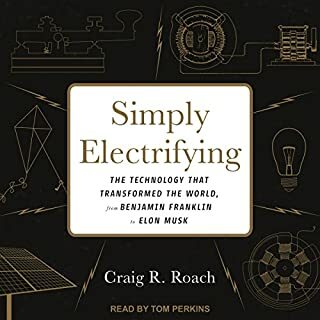 The book did explain some of the basic problems with the grid, including that electricity cannot be stored and that its supply must always equal its demand. It did make clear that renewables such as solar and wind are a problem when the sun sets or the wind calms and their adapters suddenly need electricity from old forms of generation. In general, the style of writing alternated between wordy, tedious repetition and trying to be silly or cute. Similar to so many books written these days, this one would have benefitted form some better editing. During her interview, it came out that the author is an anthropologist, not an engineer. Perhaps she should have collaborated with an engineer or even a science writer. For me, I had hope for much more technical information about the present and future than Bakke provided. Anyone with a freshman intro background in physics will spend a lot of time cringing. Opinions are presented as facts, important details are skipped over, and basic mis-statements of fact are common. I quit before finishing chapter 2. A non-fiction book in science / technology written by an unreliable author? No thanks. Dr. Bakke presents an enjoyable narration of the history of America's grid and a discussion of its present and future challenges. Written in an anthropological lens, The Grid paints a picture of the landscape of the electric power industry as one with many layers. Dr. Bakke makes a compelling point that the Grid is not merely the physical components of the enormous electricity backbone but one also intrinsically interconnected to legal frameworks, cultural nuances, business agendas, etc. This book is worth every centavo. This book had good information about the history, along with commercial and political interests. The information was not strung out. I was probably they right Information density for the casual reader. I personally would have preferred it to be a bit denser. The book went only a little bit bast the surface with technical electrical Information as well. Overall it was good information and was not boring. What did you love best about The Grid? I loved how up to date this book is and how it explains the electrical grid in a post-deregulation world. The chapters about early grid history and the Cater years were my favorites. The first chapter was an overview that seemed a little too sensational and a little too flowery in it's language. Then the author hits her stride in the second chapter and it only gets better from there. Excellent research, great storyline and overall very well done. knowing little to nothing going into the book I was extremely surprised and happy with how much I learned and hour much I cared by the end. great book!! The concept of the virtual power plant needs to go viral. A timely read. My thinking has changed. I would have given this book more stars if it wasn’t littered with liberal dribble through out. There are lots of great ideas, very interesting historical context to our power grid. Unfortunately, It is a little too editorialized. 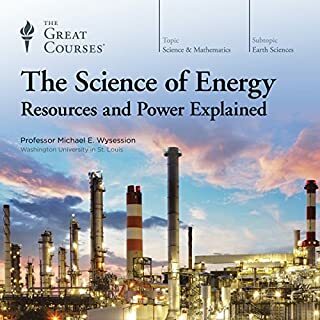 Someone with no prior knowledge of the energy sector might find it useful. However, I suspect most readers will be frustrated by the writing style and the complete lack of pace. 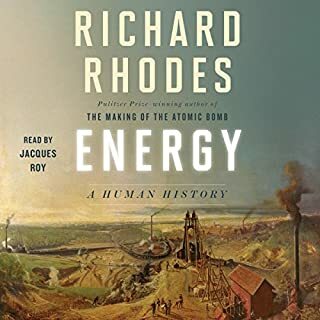 I purchased this audiobook because it was on Bill Gates's recommended list for 2016 and I have a personal and professional interest in the subject. I made it 1/3 of the way through the book before abandoning. It is excessively repetitive, full of long, flowery sentences that add little to understanding. Electricity = what makes our interconnected world work. 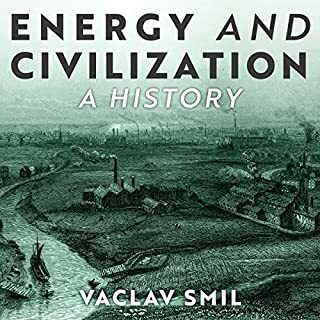 Brilliant book for anyone looking to understand the grid, its history and how electricity markets will look with the threat of utility death spirals. Although I live in South Africa there are many lessons to lean on and similarities in the story of the American grid and the current state thereof and our own grid and Utilities. an electrifying insight into our power systems!